Mark your calendars, Samsung is planning a product reveal event for Aug. 13 beginning at 8 a.m. PST. It might be time to learn the final “consumer” specifications of the Gear VR. While we don’t know what is going to be revealed, the timing is right for the follow up to the Note 4 and the consumer release of the Gear VR. Earlier this year at GDC Oculus CTO John Carmack mentioned at GDC that “barring something disastrous,” such as Samsung deciding they were done with VR, we would finally get to see the “full consumer” version of the Gear VR with Samsung’s next product cycle, which historically begins at each of its biannual Unpacked events. The “Innovator Edition” name marketed with the Gear VR holder for the Note 4, Galaxy S6 and Galaxy S6 Edge is imposed by Oculus because Samsung doesn’t do developer kits. Instead, the name is meant to convey to buyers that it is meant for early adopters and to spur development. 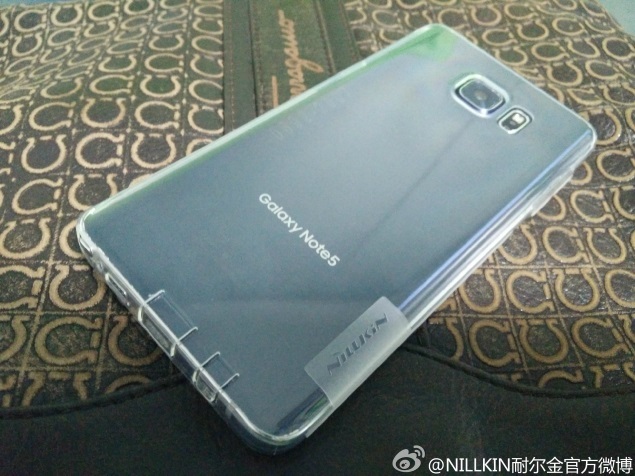 Early leaks/rumors suggest the Note 5 (assuming that’s its name) will look a lot like a lot like the Galaxy S6 and the iPhone 6 Plus. Those same rumors suggest the same resolution for the next phone as on the Note 4, 2,560 x 1,440. While it has been suggested that a 3,840 x 2160 (or 4K) screen is on the Samsung roadmap and that it might be kept secret for competitive and SEC reasons, it seems somewhat unlikely. “We know what the display resolutions are going to be through this year and next year. Everybody that’s going to be having a VR experience is gonna be on something that is a 1440 or lower resolution display,” Carmack said during his talk at the University of Texas earlier this year. Of course, if the device carries a faster processor with the same screen that extra processing power can be used to create more powerful virtual worlds. The holy grail of untethered VR is positional tracking to move the range of motion beyond a swivel chair but, like the 4K jump, that might be too much to hope for this go around – but we shall see. What features would you want to see in an upgraded Gear VR?